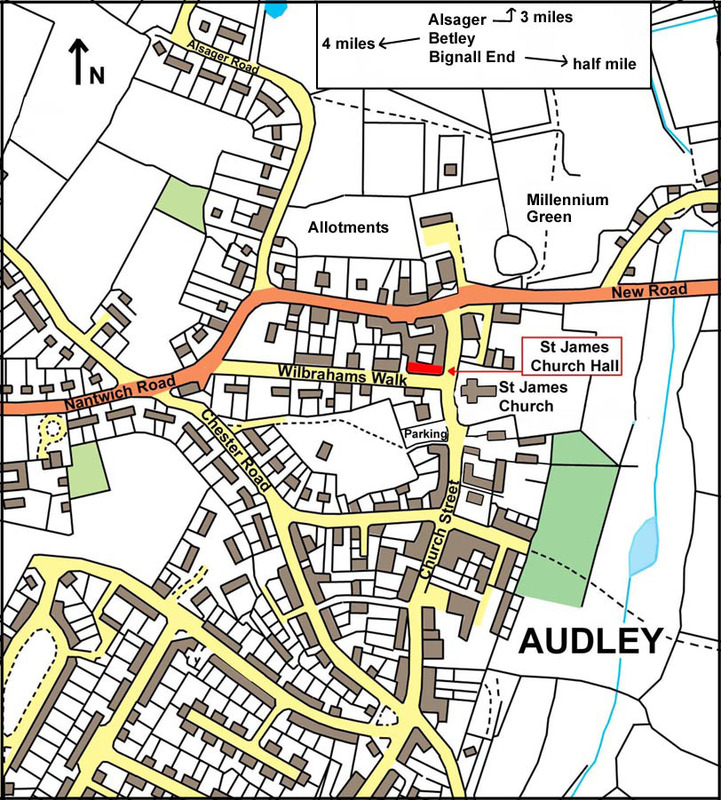 All meetings are held at St James Church Hall in Audley. The Hall is located at the corner of Wilbraham's Walk and Church Street, opposite St James Church. Parking may be available in Wilbraham's Walk or in the public car park next to the Butchers Arms pub on Church Street. For those coming from further away we are between Crewe, Newcastle and Stoke, close to Junction 16 of the M6 motorway. 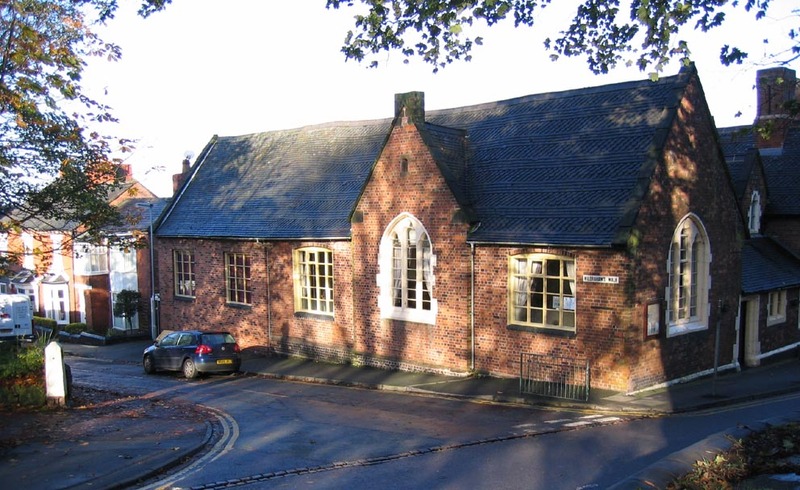 The Church Hall on the corner of Wilbraham's Walk and Church Street.